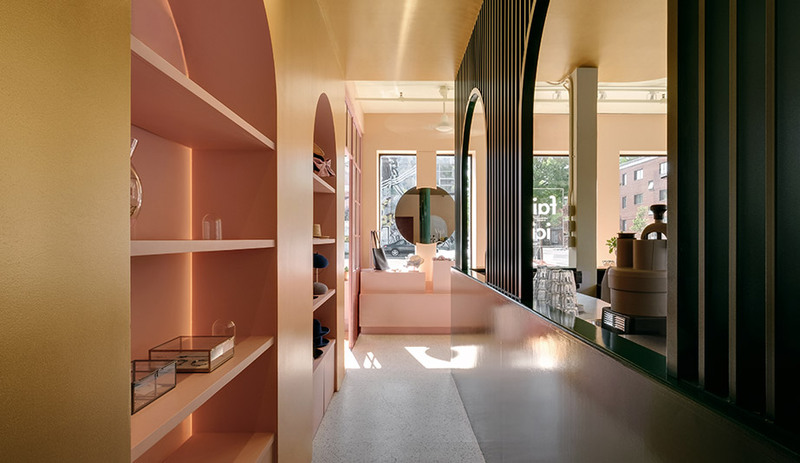 In Montreal’s artistic Mile End enclave, Appareil Architecture crafts a colour-blocked space that puts local artisans on display. 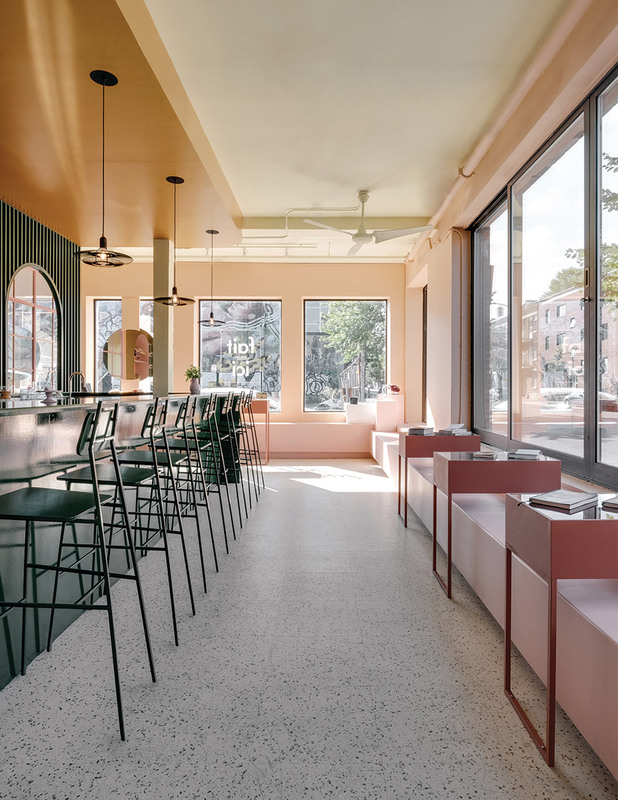 Drenched in sunlight thanks to two walls of street-facing windows, Montreal’s Pastel Rita, a hybrid artisanal workshop-boutique-coffee shop designed by local firm Appareil Architecture, reflects the creative energy of the Mile End neighbourhood. The large windows allow passers-by a peek within, where rich jewel tones and unique architectural detailing draw them inside for a closer look. Owners Véronique Orban de Xivry, the founder of leather-goods label Bouquet, and Gabriel Malenfant, a member of Canadian electro hip hop band Radio Radio, had wanted a space that spoke to their creativity – a welcoming place where people could gather and create as part of a community. 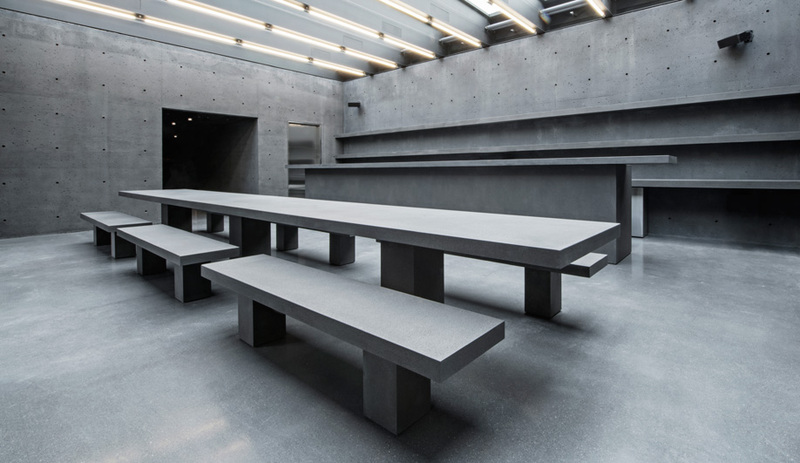 To achieve this, the duo turned to Montreal’s Appareil Architecture, whose self-described signature style – sleek, contemporary and informed by Nordic sensibilities – was on par with their desired aesthetic. 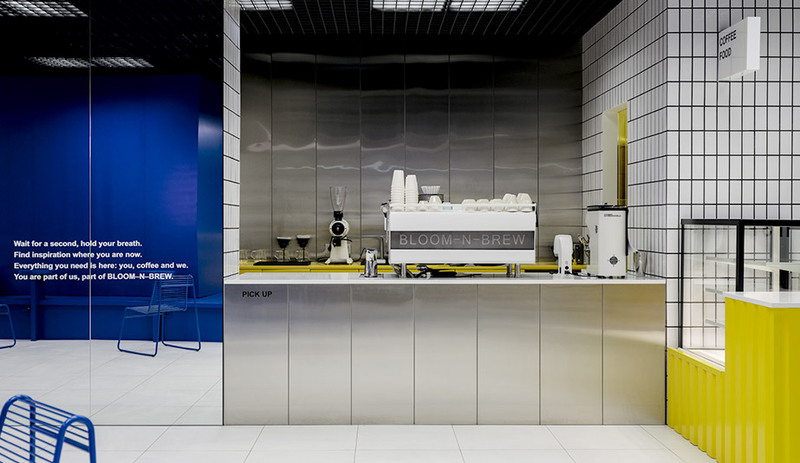 Upon first entering the space, guests encounter the coffee bar, painted a lush high-gloss green and paired with the firm’s own Floe stools. A slatted partition serves as both bar backdrop and space divider, with the boutique’s display shelves glimpsed beyond. 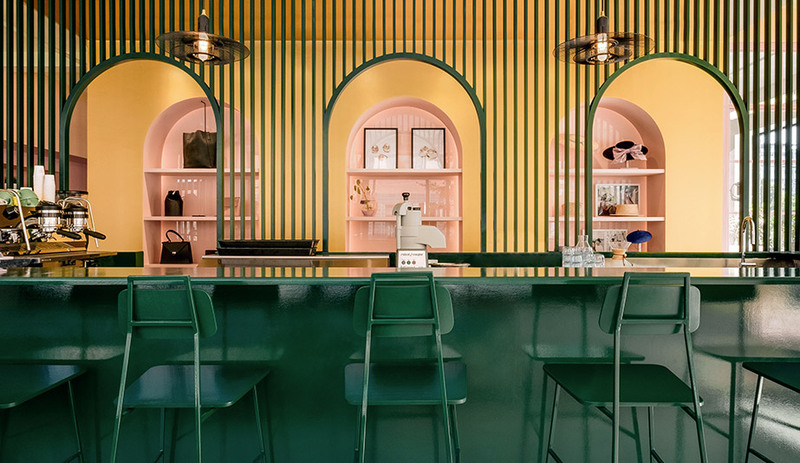 Arched cutouts in the screen are repeated on the gold-toned wall behind, where nooks with pink interiors house Bouquet’s original handbags. This one perspective embodies the shop’s dynamic palette – a beautiful combination of vibrant green, pastel pink and soft gold. 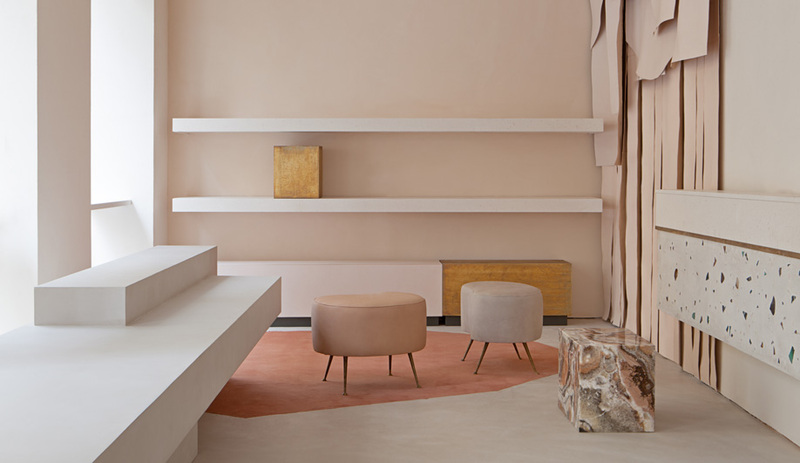 Appareil used these three colours to cleverly divvy up the 140-square-metre shop, creating different areas where people can meet over coffee, shop the wares and watch artisans at work in the central workshop. 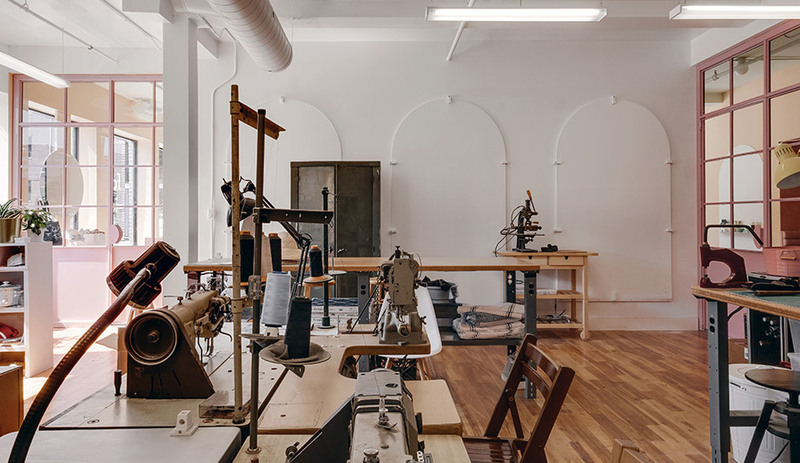 Wrapped in factory-style windows, the studio space is often a hive of activity of craftspeople hand-making Bouquet’s leather handbags and accessories alongside local milliners and jewellers. Tucked in a cosy corner, banquettes are upholstered in a pink-toned durable synthetic leather and create an inviting spot for socializing or quiet reading. 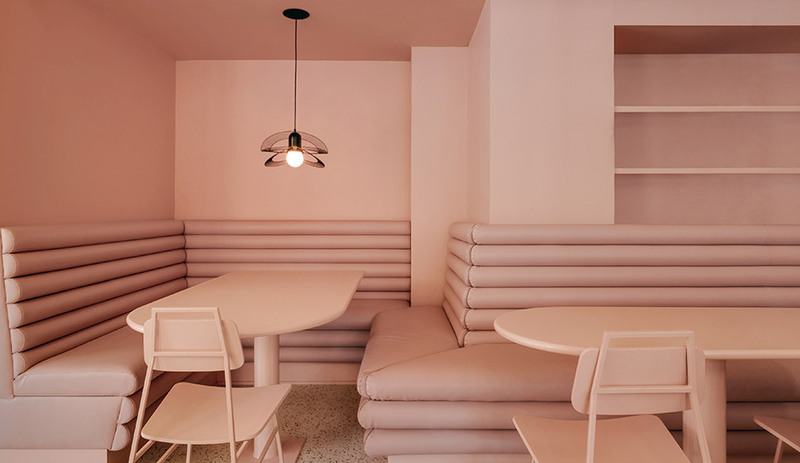 Along one window, pink-painted plywood benches are fitted with metal tables that can be arranged to suit guests’ needs. In keeping with the collaborative and supportive essence of the space, the lighting fixtures throughout were made by local studio Botté using all recycled parts.